Please select the location to view our team at each branch. 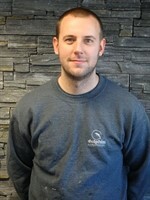 Josh has over 19 years experience in the motorhome industry and brings a very fresh, young and enthusiastic approach. Josh is a keen Southampton FC fan and he spends most of his spare time with his family. His four children Max, Charlie, Cait & Leo keep him on his toes as well as the latest member to their family - Chase, a cocker spaniel! 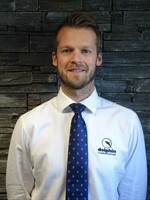 Graham joined us in January 2012 and was instantly a great addition to the sales team. Graham has over twenty years experience in the motor industry, having previously worked for Peugeot, Mazda, Volkswagen, Smart, Seat & Volvo. Graham moved to our Christchurch branch in December 2014 and has recently returned to Southampton. Graham is a keen runner both for fun & competitively and has completed both the London Marathon & Goofy Challenge in Disney World three times already (one dressed as a gingerbread man).Graham also enjoys spending time with his three godsons, two god daughters and friends. 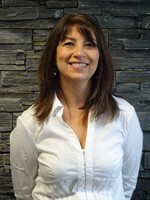 Cheryl has been with us for 15 years and very much enjoys the motorhome / leisure industry. Her honest and friendly approach has made her a big success with our customers. She's down to earth and enthusiastic meaning that nothing is a problem as her many thank you cards explain. She can never be seen without a Costa on her desk and with 14 years of loyalty points, will never have to buy a coffee again! Steve joined us in June 2014 with a wealth of experience from the Motorhome industry. He had been working in the Motorhome industry for over 15 years, starting his career as a valeter at the age of only 15, previously working for the Willis family. He has a real passion for the industry and regularly uses motorhomes taking his wife, daughter Keira and son Finn away on holiday. He is a keen football player, playing regularly in a 7-a-side team but unfortunately supports Portsmouth FC. Nicky joined us in 2014 bringing a wealth of marketing skills and knowledge from a career in Marketing spanning 16 years; previous employers include WestQuay Shopping Centre, Aviva and TGI Fridays. As well as organising all the events and shows, Nicky is head of our social committee ensuring we all enjoy regular nights out! Nicky loves spending time with her children Alfie and Millie and visiting her mum in Spain. Mike joined us in 2009 and has an excellent understanding of first class teamwork & customer care. Mike previously owned a motorhome himself and has many years experience in the motorhome industry. Mike loves a game of golf with his wife Andra as well as a regular spot of fishing near his home in Hayling Island. Mike enjoys keeping the staff fed and watered throughout the day... making it impossible to diet!! Kay's been with the company for 18 years and her bubbly personality, hard work ethic and her ability to work well with the team, make Kay a great asset. Away from work Kay has a busy social life, enjoying time with her husband, friends and children. 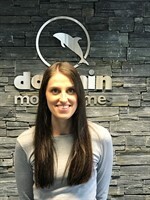 We welcomed Alishe back to Dolphin Motorhomes after a 2 year maternity 'break' raising her daughter Demi. 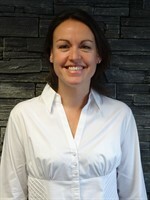 She was based part time in Christchurch and is now moving back to our Southampton branch. She has a great wealth of knowledge with our administration department and I'm sure will bring us in to line at Southampton. Tom has been a part of the family business since June 2005 and has grown the Service Department over the years. Tom is a keen Southampton FC fan and also enjoys playing football, golf and is a keen runner - along with Graham Emery, has run many a race and the odd marathon raising money for charity. 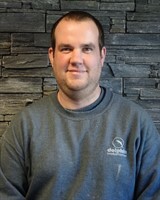 Graham joined in early 2007, and with over 10 years experience he quickly become a valuable part of our service team. 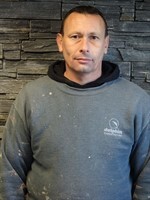 In recognition of his efforts Graham was promoted to Workshop Foreman in January 2011. He is kept busy at home as well with his two daughters Chiara and Imogen. Chris joined us in September 2014, this being his first experience in the motorhome industry, previously working in amateur dramatics. Chris is the proud father to twin boys. In Chris' spare time, he is a keen photographer & Volkswagen enthusiast. Shannon joins our Aftersales team with several years’ experience in the industry working in both service and valeting of motorhomes. She is adventurous and loves going on day trips with her wife. She loves music, meeting up with friends and spending time with her family. 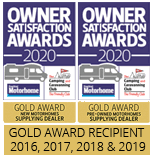 Martin has been valeting motorhomes to the highest possible standards for over 14 years, so we were delighted when he decided to join us in August 2004. Martin has already improved the standard of all of our vehicles which doesn't come as a surprise due to his hard work ethic. Andy joined us with 5 years experience of valeting in the motor industry. Before that he worked in the building trade. He is interested in drawing and watching films, but its mainly kept busy with his four children aged from 2 to 17! He enjoys spending time with his family. Andy started with Hants & Dorset Motorcaravans in 1997 and will be a familar face to a lot of customers especially whilst working on the Auto-Sleepers at numerous national indoor shows. Andy has an excellant attitude & appetite for work & has built a great reputation for his helpful approach & customer care. This has resulted in an incredible amount of repeat business from his loyal customers at Dorset. Although Andy started with Dolphin when we aquired the Dorset branch, he fitted in well. The ice was broken when in his first week he was heading off to work at the NEC show for the week... & forgot his trousers!! Away from work Andy & his wife Jane have their hands full looking after three children Eleanor, Miles & Will. Andy also enjoy's football & watches both Bournemouth & Southampton play when possible. Ryan joined us in March 2015, with previous experience working for an insurance broker for 10 years. 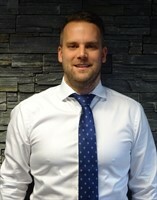 Ryan was new to the motorhome industry but has been very successful in his role. Ryan enjoys cooking at home and can usually be found at work eating and always has a drawer full of treats! 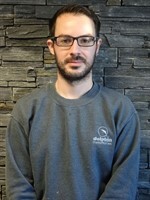 Ryan worked for 3 years as a aprt of our Southampton team, but has recently moved to the Christchurch branch. He likes to keep fit by playing football and is a keen fan of Southampton FC. 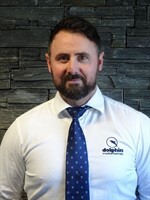 Rob has over eleven years experience in the motorhome industry having worked for Hampshire & Dorset Motorcaravans prior to Dolphin taking it over in February 2013. 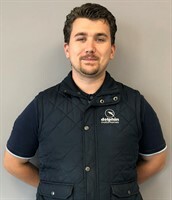 Rob is a key part of our Dorset sales team and as well as direct selling he also looks after the majority of customer handover's & demonstrations, which is extremely useful when collecting your motorhome. Away from work Rob enjoys spending time with his family and also is a keen Bournemouth supporter. Tim joins us from the vehicle rental industry, bringing a wealth of knowledge about vehicle management and movements ...he should keep us in line! Tim has been working in our Service Department in both Southampton and Dorset branches and has now moved across to Sales as Sales Support. Tim spends his weekend renovating his flat! 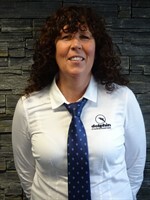 Sue has over nine years experience working in the motorhome industry having previously worked for Hampshire & Dorset Motorcaravans prior to Dolphin taking over in February 2013. Sue looks after all of our accounts duties along with some general administration. Away from work Sue enjoys spending time with the family and looking after the grandchildren. Sam joined us in February 2017 in a new role as Health and Safety officer. 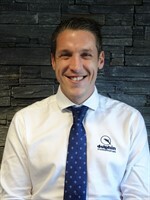 He has since worked in our sales team at both Southampton and Christchurch and has now been promoted to Aftersales Manager in our Dorset branch. He previously worked as a private jet dispatcher for a year in Farnborough and cabin crew for British Airways for 5 years out of Heathrow. He has two little boys keeping him busy at home - Henry and Noah. He is a keen Saints supporter and can't wait until Henry can go to his first match! Paul joined our Southampton Service team in December 2015. He was new to the motorhome industry but has over 25 years of customer service experience mainly in retail. He has two young children Saoirse and Amara who keep him on his toes outside of work. He is a keen rugby fan supporting his home country of Ireland as well as his home club Ulster. In Summer 2018, Paul moved to be part of our brand new Dorset Service Department. 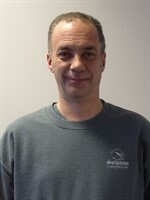 Craig has worked in the motorhome industry as a technician for over 15 years. 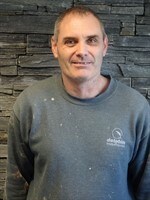 He joins us with a huge amount of experience and we were delighted to make him our Workshop Foreman at the new Christchurch workshop when it opened in June 2018. In his spare time, he likesa to ride his mountain bike and often does soaround Wales. He falls off regularly! (Craig had not long been with us wen he fell off his bike and broke his collar bone!) He also goes jogging with his boxer dog Dexter. 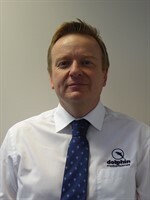 Gary joined Dolphin Motorhomes in 2015, coming from a manufacturing background. Gary was with his last company for 16 years working his way through many different roles. Gary enjoys spending time with his wife and two daughters, plus is a keen supporter of Southampton FC. 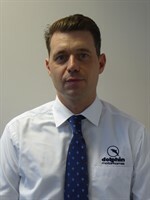 Dave has over ten years experience in the motorhome industry having previously worked for Hampshire & Dorset Motorcaravans prior to Dolphin taking over in February 2013. Dave is responsible for all valeting & preparing all of our motorhomes to the highest possible standards, plus carries out the majority of driving duties. Dave is a keen a motorhomer himself and enjoys driving his Compass down to the New Forest and going out on his mountain bike or kayak. He also enjoys his football and is a keen West Ham fan.